AA Back to Basics - It's all about saving lives! Click here for a one time donation! 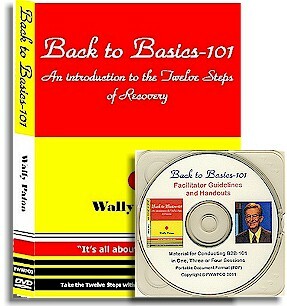 Back to the Basics of Recovery is now available as an eBook at AMAZON.COM Click here to get your copy now! 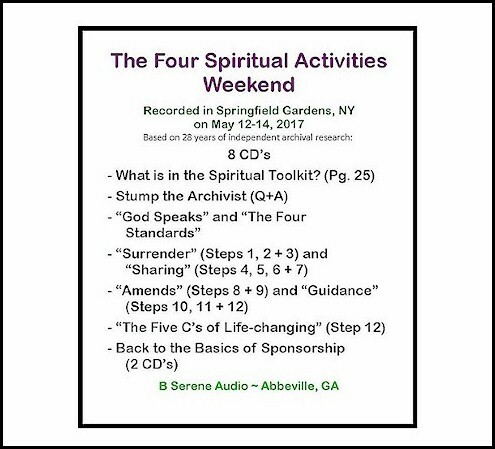 To minimize confusion Back to the Basics of Recovery and How to Listen to God now have their own separate shopping carts!. ON SALE - LIMITED QUANTITY!!! Click on the image above to go to the shopping cart! Clicking on any of the above links will open a new window and your computer's mp3 software will play the voice links (the first two) or your computer's mp4 software will play the video link. Once the clip completes, simply close the window and you will return to this page. 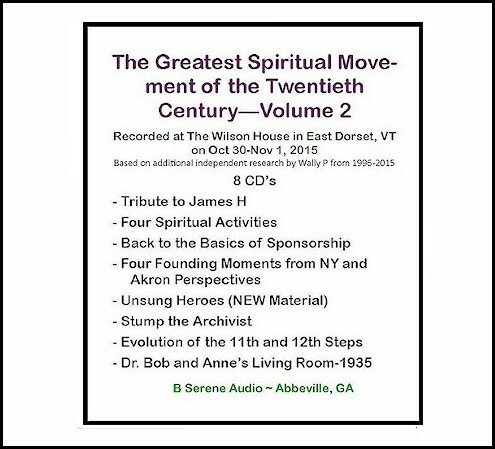 All DVD's and CD's have been moved to the "DVD's, CD's, and Other Digital Media" Bookstore. Click the link to browse or . . .
Click on any of the CD's back covers above for info! 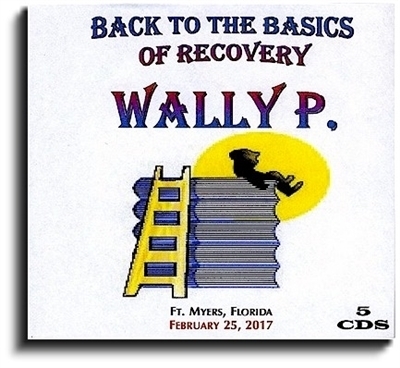 Back to the Basics of Recovery 5 CD Pack is Available! 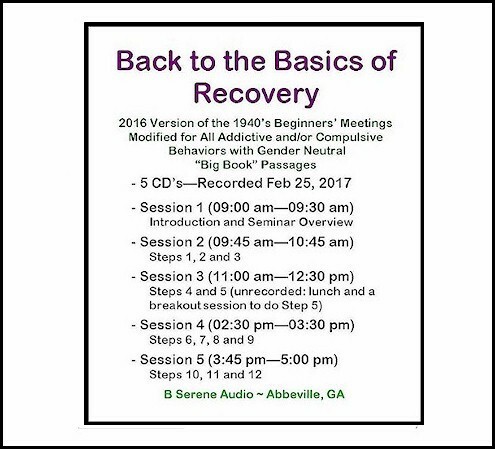 Since the release of the Back to Basics book in 1997, more than 700,000 have been through this "original" Beginners' Meetings format from the 1940's that produced a 50-75% recovery rate during the early days of the recovery movement. We are seeing similar results today in the more than 7,000 meetings held each week. Click here for a meeting in your area. 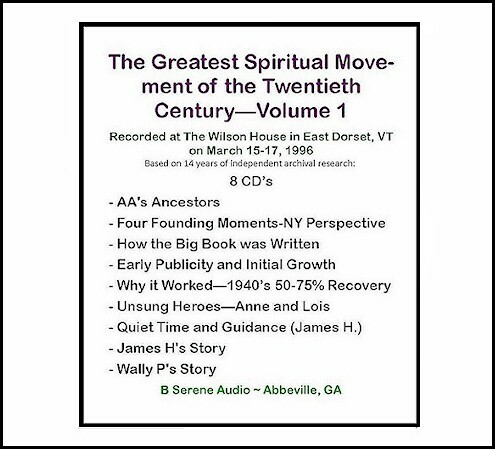 For a list of Wally P.'s Archival Presentations, just click here. contact Brit S. at: 520-333-9798 or email at b2bfbsi@gmail.com. 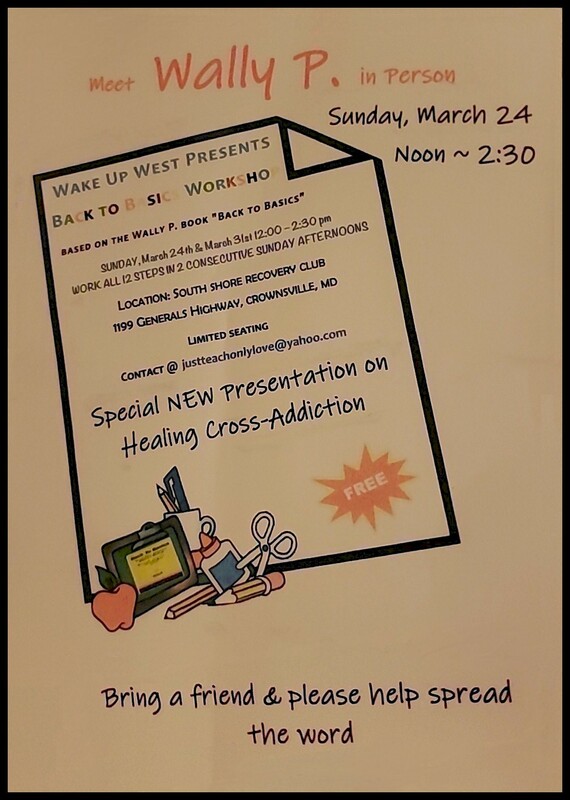 Wally P. and Brit S.
10:00am Guest Speaker Brit S.
and also you can click here for the Wally P Feedback on the Continuum of Recovery and How to Receive Divine Guidance letter. You can help support Wally's writing efforts and the publication of some of the hundreds of thousands of pages of archival materials Wally has amassed over the decades by making a donation to FWWPCO. 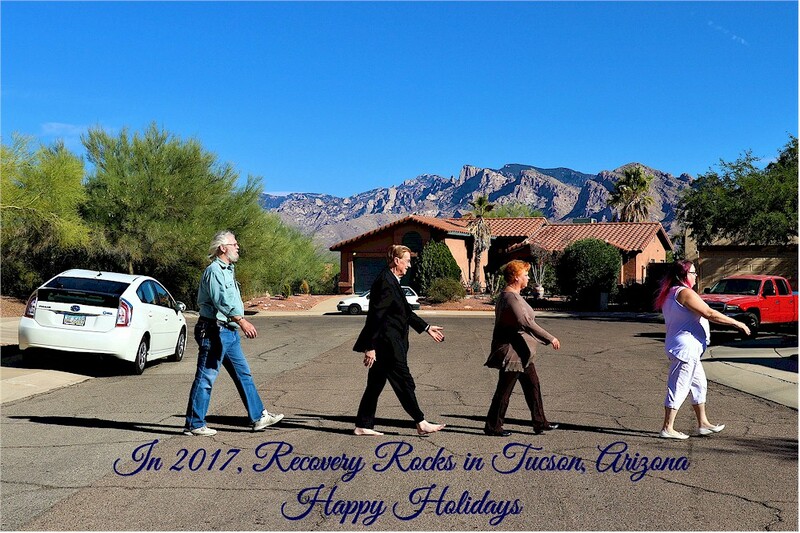 2017 Holiday Greeting from Wally P.
Cliff B. Article Titled, What has Happened . . . ? Wally P. has no royalty arrangement with Back to Basics and receives NO income from any literature he has published nor from CDs / DVDs he has produced. He insists that this is his Twelfth Step work for which he cannot be paid. 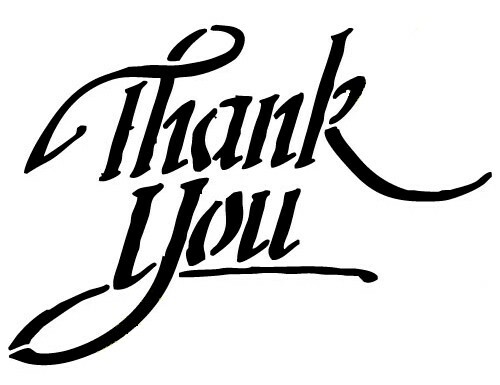 We thank you for your interest in our life-saving Back to Basics seminars. 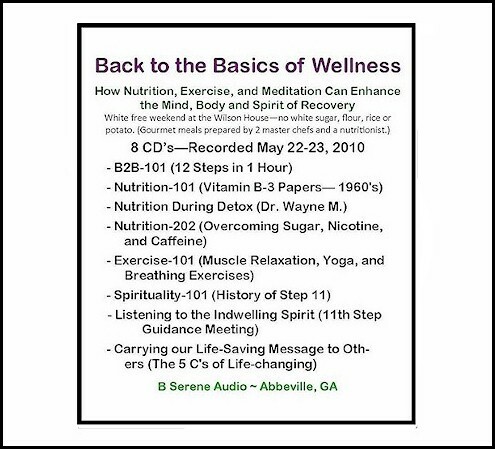 How to Host a Back to Basics Workshop and then contact Brit S. at: 520-333-9798 or email at b2bfbsi@gmail.com. Click here to jump to the "News and Information" page from the original home page. Back to Basics Meetings now listed in 40 (41 actually) out of 50 States, 5 other countries with 5 out of 10 provinces in Canada! To add your Beginners' Meeting to the website just email us the information, including where (name and address of location), when (day of the week and time), and contact (phone number and/or email address). Attach a flyer if you like. many of which are not listed on this site. Please send us your meeting information and we will post it as soon as possible. 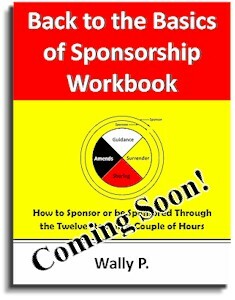 "Authors note: I do not believe in 'making money out of A.A.' Any proceeds from this book, after out of pocket expenses are met, will be used to distribute books at no cost to individuals and groups who cannot afford to buy them." The Back to Basics Foundation is dedicated to saving the lives of alcoholics, addicts and obsessive compulsives by showing them the sheer simplicity of the program of recovery and by guiding them through the Twelve Steps as they were taken by many of the pioneers in the 1940's. 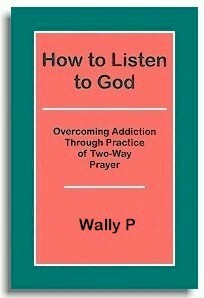 During this period of time, the recovery rate from addiction was 50-75%. We are seeing similar results today for those who are willing to remain involved with the Back to Basics Beginners' meetings for three to six months. 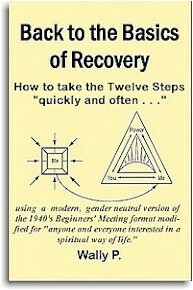 We accomplish our objective by coordinating the recovery efforts of the numerous Back to Basics Beginners' meetings and groups, answering questions as they arise, following up on Twelfth Step calls. 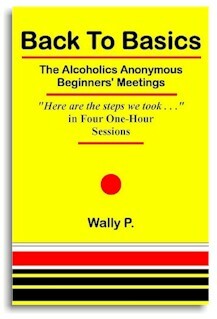 We also conduct one day and weekend seminars based on the Back to Basics program and distribute recovery literature and other materials on the Beginners' meetings.